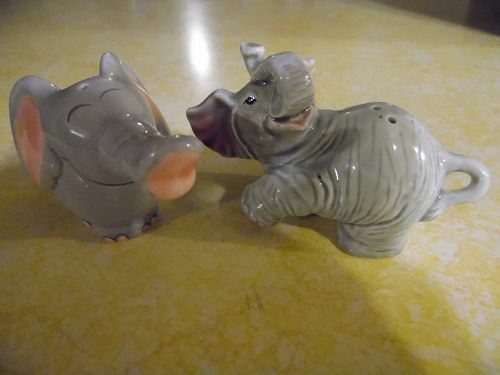 Silly pair of ceramic elephant salt and pepper shakers. One has a UCGO Japan sticker. Complete with stoppers. Great condition with no chips or damages. 2 1/2" tall.